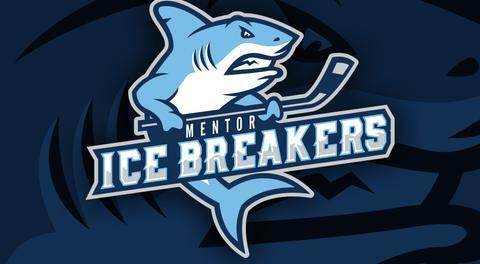 The Mentor Ice Breakers return home this weekend for a pair of games against the visiting Port Huron Prowlers. The two clubs will wrap up the three-in-three series on Sunday afternoon at McMorran Place in Port Huron, Michigan. Friday night’s contest in Mentor is Remarkable Lake County Night, presented by the Lake County Visitors Bureau and Mix 97.1 FM. Saturday is the first-ever Ice Breakers Fight Cancer Night. Be sure to bring brand new stuffed animals to throw onto the ice after the Ice Breakers score their first goal. For more information on both nights, check out the Ice Breakers Facebook page. It’s hard to blame the Ice Breakers for dropping both games against the Carolina Thunderbirds last weekend on the road. After falling on Friday night, they were severely undermanned on Saturday night, and as a result were shut out for the first time in franchise history. In order to field a full team, the Ice Breakers signed four local players who have filled in for the Thunderbirds: Chase Lewis, Vincent D’Andrea, Kenny Mitchell, and netminder Kelly Curl. Curl started the contest and to his credit played fairly well, stopping 37 out of 42 shots over a period-and-a-half of work. The Thunderbirds officially held a ridiculous 74-19 shots on goal advantage. The Ice Breakers’ biggest focus throughout this week will be getting healthy in order to take on a veteran-heavy Port Huron squad that is fighting for an improved playoff position. Unfortunately, Mentor will be without its two leading scorers, Mark Essery and Gordy Bonnel, for most of this weekend. Essery will be available on Sunday after finishing out a three-game suspension handed down by the FHL, while Bonnel had been placed on team suspension indefinitely. Brody Duncan will be available this weekend after serving a one-game suspension last Saturday night. 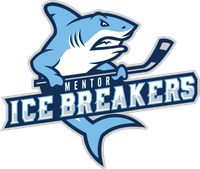 The last time the Ice Breakers and Prowlers played in Northeast Ohio, Mentor set a new franchise record for goals in a single contest in a crazy 11-7 win that saw Declan Conway and Steven Fowler both score twice and dish out a pair of assists. On the season, the Ice Breakers have won all three of their home games against the Prowlers, which bodes well for this weekend. Right now, forward Tommy Mahoney is the top scorer on the Ice Breakers’ roster with eight goals and 21 assists for a total of 28 points over 42 appearances. He is closely followed by Patrick Porkka (12-16-28) and Brett Oldaker (12-15-27). Mentor will also look to recently-acquired forward Parker Moskal, who has 16 points (8-8-16) in nine games, to continue his hot stretch of play. Before last weekend, the Ice Breakers had begun a pattern of alternating between John Sellie-Hanson and Derek Moser between the pipes, with Sellie-Hanson drawing two starts during three-game series. It will be interesting to see how head coach Iain Duncan manages his goaltenders this weekend, as Sellie-Hanson is out with an injury. Moser stopped 28 of 32 shots in his only outing last weekend, a relief appearance in Carolina, but another goalie will need to be signed to to serve as a backup. It may be a bit too late for the Ice Breakers to sneak into the playoffs at this point, but there’s still plenty to play for. The only way Mentor or fifth-place Danville can qualify for the postseason would be through a total collapse from either Port Huron or Watertown. Additionally, the Ice Breakers will be looking to regain the strong form they showed in late February to mid-March when they won back-to-back series against Danville and Watertown. Coming off a solid performance against Danville last weekend, the Prowlers are currently fighting to avoid a first-round matchup against first-place Carolina. They have one more point than Watertown, but the Wolves have two games in hand on Port Huron and therefore hold the third seed based on a higher points percentage. With Watertown set to take on Danville at home, the Prowlers will be looking for all the points they can grab this weekend. There are some FHL players for whom the Ice Breakers simply haven’t had an answer this season. Prowlers forward Dalton Jay (40-48-88), who is having a career year, falls into that category with 10 goals and 13 assists over nine games against Mentor. During a three-game series against the Ice Breakers in February, Jay had three points or more in each contest. He went cold for a couple of weeks following that series but seems to be back on top of his game with a 9-10-19 scoring line over his last five games. Former FHL MVP Matt Robertson (32-50-82) is another Prowler to keep an eye on this weekend. The Saskatchewan native holds a 1.8 points-per-game average over 142 career games. He needs 16 more points over Port Huron’s final eight games to set a new career high in points in a single season. Robertson has been hot of late with four points or more in four of his last five appearances. Rounding out the Prowlers’ talented nucleus of scorers are Zachary Zulkanycz (25-35-60) and Matt Graham (13-52-65). 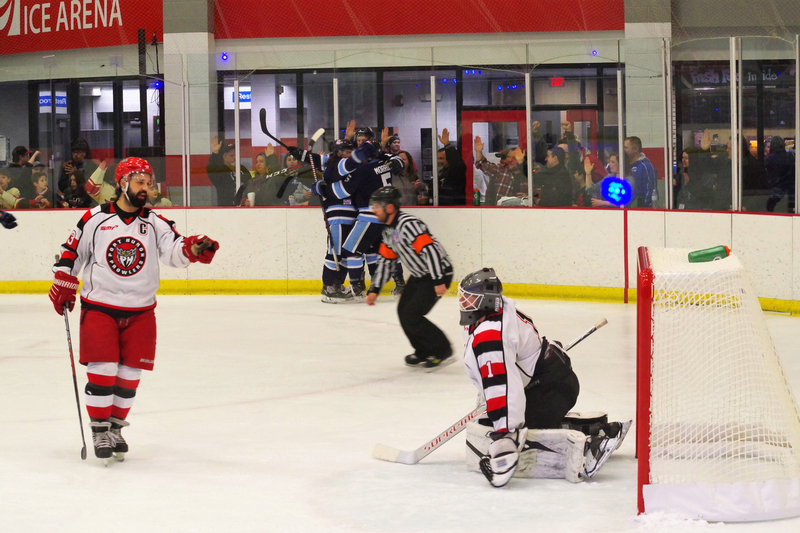 Zulkanycz is a key piece in Port Huron’s power play, with a team-leading eight goals on the man advantage. On the season, the Prowlers trail only Carolina in total goals scored with 201 (3.94 goals per game). Veteran netminders Cory Simons and Cody Karpinski provide a couple of reliable options in goal. Simons, who has a 3.16 goals-against average to go along with a .923 save percentage, has arguably been the second-best goalie in the FHL this year behind Carolina’s Christian Pavlas. He has had a couple of stellar outings this season, including a 53-save effort on February 8 and a game in which he stopped 29 of 30 shots back on February 16. While Carolina has already clinched the FHL’s regular-season title and home-ice advantage throughout the playoffs, Elmira needs only one more point gained or a single point lost by Watertown in order to claim second place. The Enforcers are most likely looking at a first-round series against the Wolves or Port Huron, depending on which team finishes in third place at the end of the regular season. Danville had a chance to get back into the playoff race last weekend, but a pair of losses to Port Huron pushed the Dashers 13 points back of the final playoff spot. Danville isn’t eliminated yet, but it absolutely must win all three of its games against Watertown this weekend in order to have a realistic shot at the postseason. From March 29 to 31, the Ice Breakers take on Elmira in a three-game series that features a Sunday afternoon home game. After that, Mentor will wrap up its regular season during the first weekend of April with home games against Watertown, Port Huron, and Elmira.